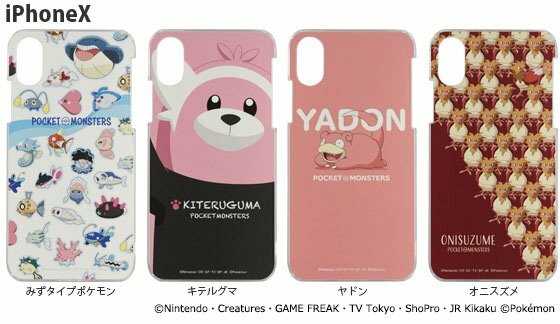 Smartphone accessory maker Gourmandise is releasing a new line of iPhone hard cases on August 24, 2018 in Japan. The hard cases are compatible with iPhone X and iPhone 8/7/6/6s. Designs include Water-type Pokemon, Bewear, Slowpoke, and Spearow.